Help out the voiceless by attending the one-night-only comedy show, Stand-Up 4 Animals, on Oct 4 at PJ Live Arts. 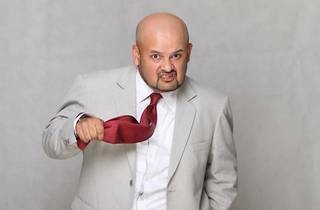 Malaysia's cream of the crop in comedy – Harith Iskander, Jit Murad, Douglas Lim and Kuah Jenhan – will take the stage to make you crack up in stitches, all in a bid to raise funds for the Society for Prevention of Cruelty to Animals (SPCA). Proceeds from the event will benefit non-pedigree pets to be sterilised for free at SPCA's Klinik Kembiri in Setapak.